Maintaining and practicing good oral hygiene is important at all times, but is especially important for orthodontic patients. Flossing is a critical part of that process. The purpose of dental floss is simply to manually remove the food and debris from the areas of the teeth that are difficult for the toothbrush to reach. 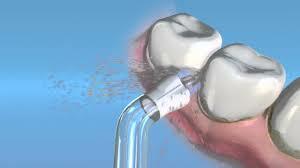 Food and debris left between the teeth allow bad dental bacteria a perfect place to multiply and breed. This bacteria can often lead to tooth decay, gingivitis, or even periodontal disease. Should I floss before or after I brush my teeth? Whether you choose to floss prior to brushing, or afterwards is largely a personal choice. Flossing first allows you to brush away the dislodged food debris afterwards, while brushing first allows you to loosen the plaque between the teeth, making your flossing a bit more efficient. Either way, the goal is just to floss thoroughly and regularly. We like to advise our patients to floss their teeth once daily, and preferably in the evenings before bedtime. By flossing at this time, food and debris are eliminated from their favorite hiding places (between the teeth) overnight. Our experience has shown us that nightly flossing helps to prevent plaque from building up on the surfaces and in the crevices of the teeth at a time of the day where your salivary production will be low. Are there any special accommodations that I should make while flossing with my braces? Flossing with braces is certainly a bit more challenging and time consuming due to the fact that you cannot floss directly between the teeth without using an additional accessory. 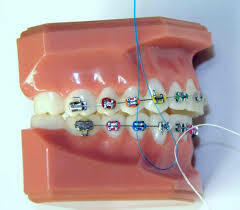 We teach our patients to use floss threaders to make it easier to weave the floss under the orthodontic wire. Once the floss is under the orthodontic wire and you can access the areas in between the teeth, then proceed with flossing as you normally would. Many patients also find proxi-brushes to be very helpful to help loosen up or push out the debris between the teeth prior to flossing. Finally, some patients prefer to finish off the entire process with a Water-Pik – which blast water between the teeth thereby giving an even cleaner and more refreshing feeling to the entire process.